We're so excited to be a part of this years Dewey Beach Music Conference! 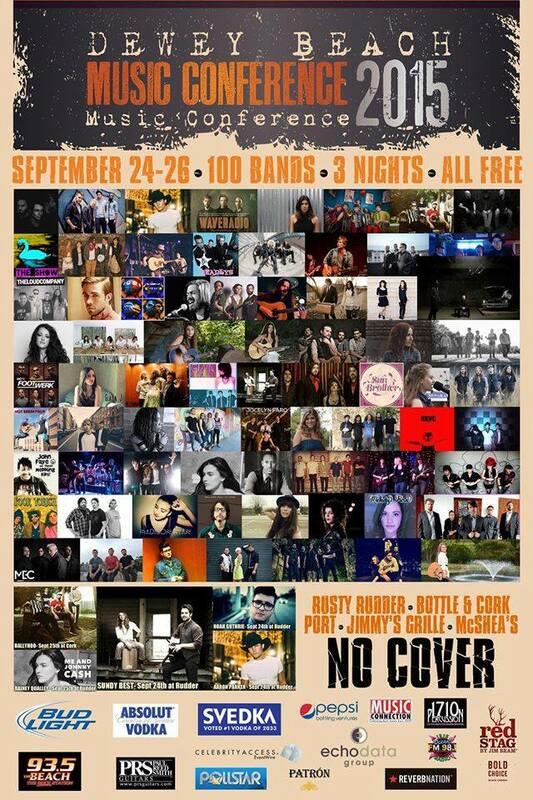 This is an annual festival featuring over 100 bands and panels over 3 days on Dewey Beach in Delaware. We'll be performing at the Rusty Rudder on Thursday September 24 at 11:00PM. If you're going to the festival, make sure to check out our set and hang out with us afterward. We'll be hanging around for most of the weekend. Over the next month, we'll be playing some great festivals across the East Coast. On August 28th and September 6th, we'll be at the Ballroom for the Save the Space Benefit shows. The Space has been one of our favorite venues over the years, and was one of the first places to book us when we started. If you're in the Southern CT area, please come out and support this great venue! On August 30th, we'll be back at Liberty Music Festival for the third year in a row! This year it will be at Bullshooter's Saloon in Philadelphia, with a great lineup of Progressive acts like In the Presence of Wolves, Next to None, Rausch, Shadow Merchant and more! On September 24th, we'll be making our debut at the Dewey Beach Music Festival in Dewey Beach, DE. This festival has been running for many years, and we're excited to finally be a part of it. John Tuohy is featured in a new article by Musician's Friend! 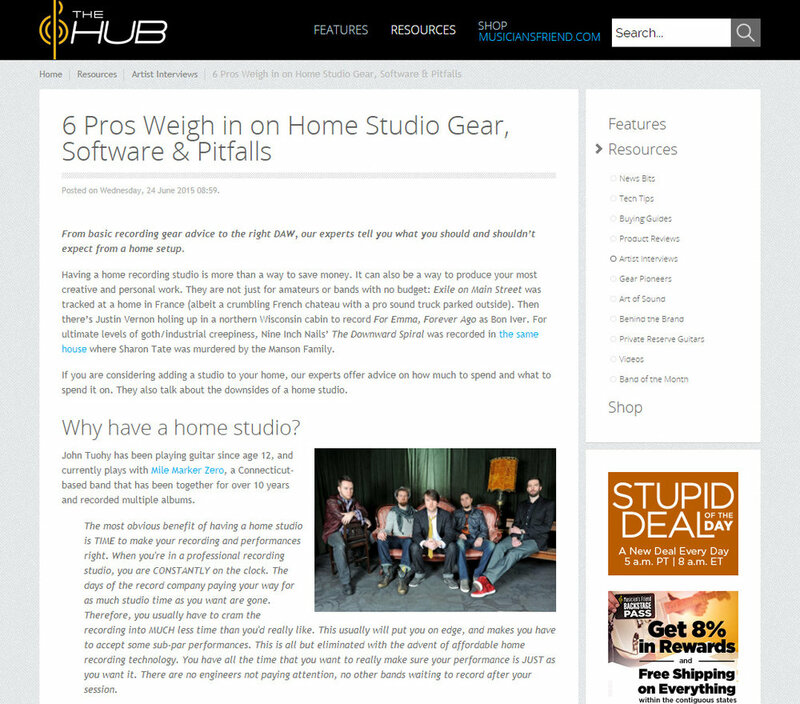 John along with 5 other recording professionals talk about the benefits of Home Studios, the software he uses with MMZ and techniques he's learned from recording. 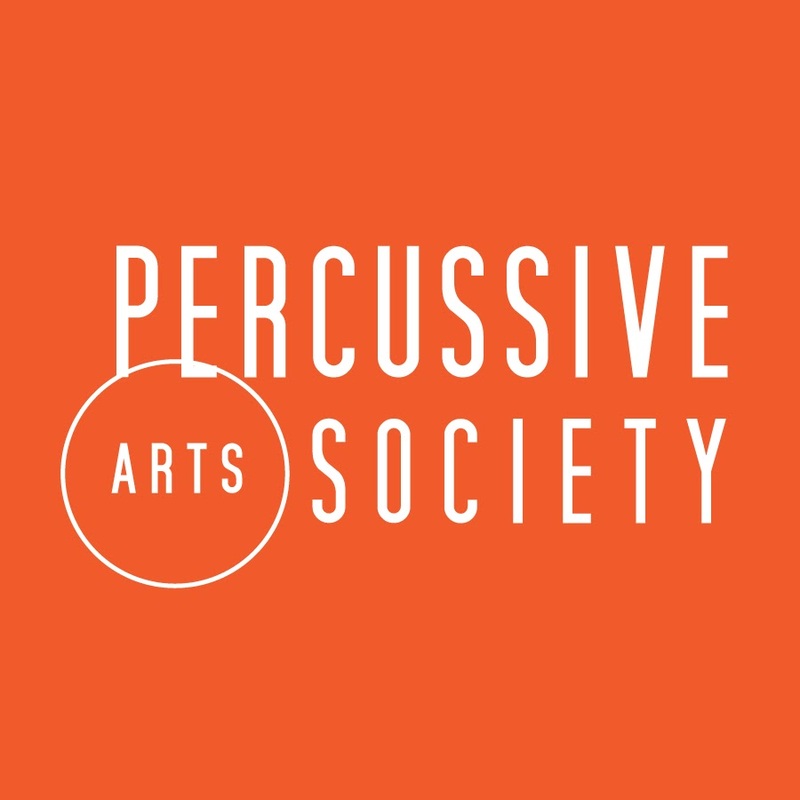 Congratulations to Doug who is in this month's CT Percussive Arts Society Spotlight! Check out the article here!